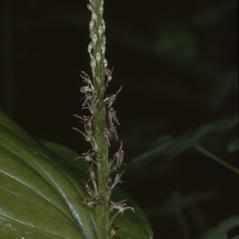 Accepted Synonyms: Achroanthes porphyrea, Achroanthes purpurea, Microstylis porphyrea. 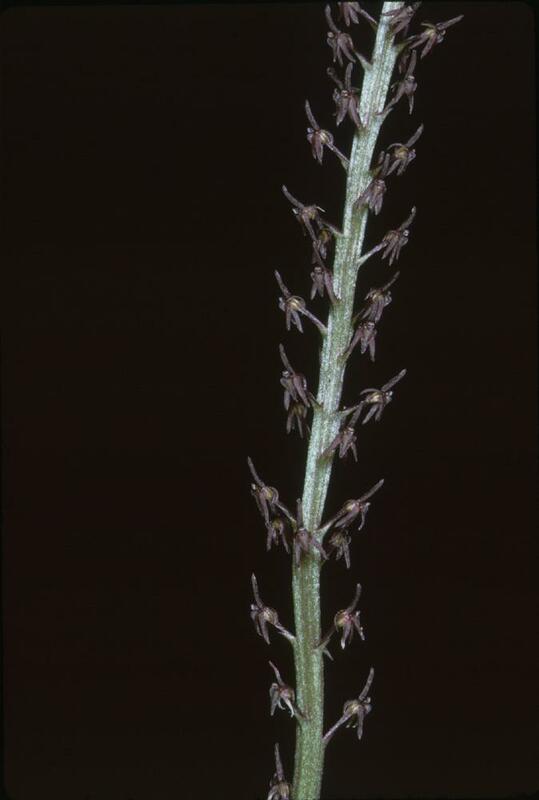 Malaxis porphyrea, known commonly as Cochise Adder's Mouth Orchid or simply the Purple Malaxis, extends from northern Mexico into Arizona and New Mexico. 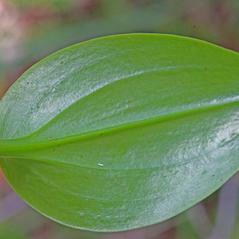 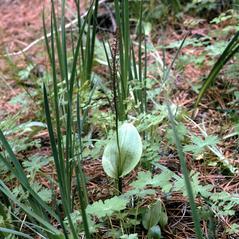 This orchid produces a single oval leaf partway up its ridged, purple-tinged stem. 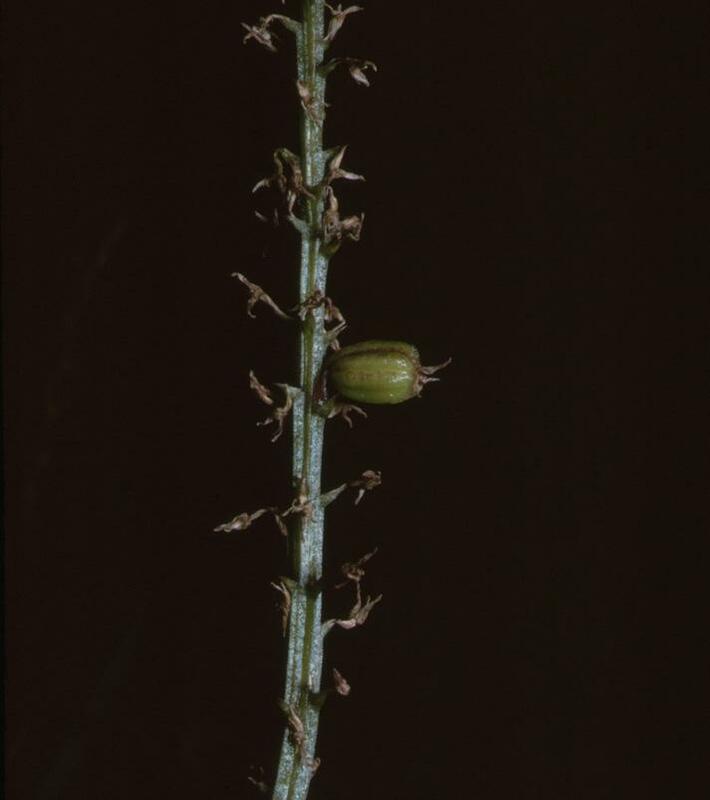 The purple flowers are covered with tiny bumps not visible to the naked eye. 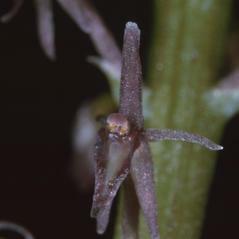 The lateral sepals and petals arch backwards and the labellum is triangle shaped with a cream colored ridge rising at it's center. 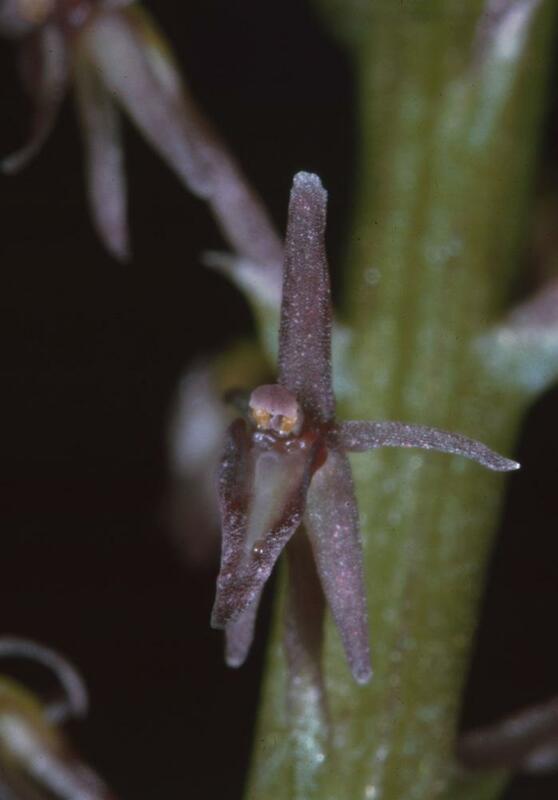 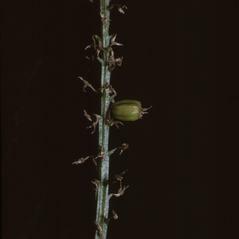 The auricles at the base of the labellum are narrow and nearly parallel. 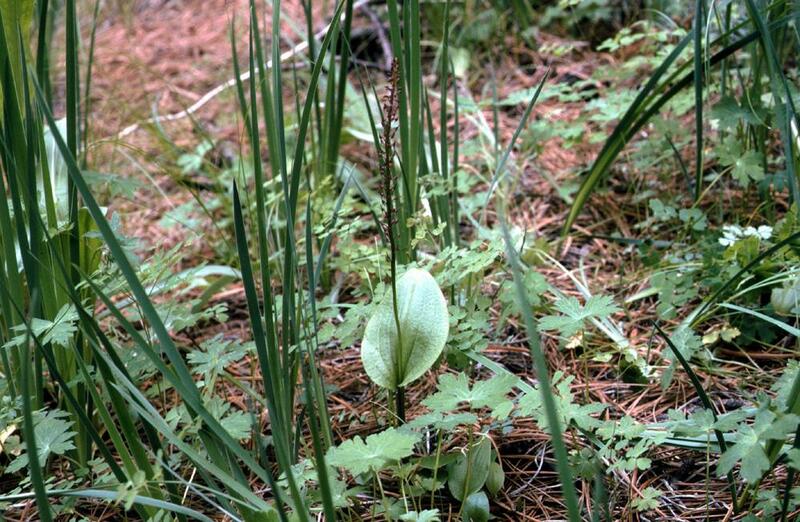 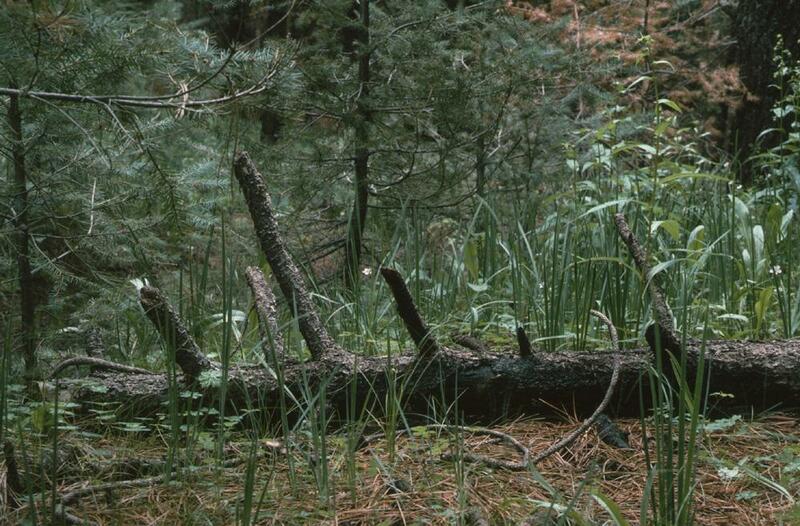 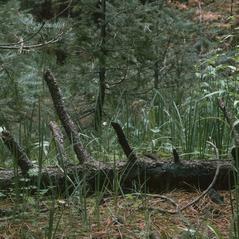 This orchid grows in damp, mossy, or grassy places and meadows in mixed oak, pine and fir forests. 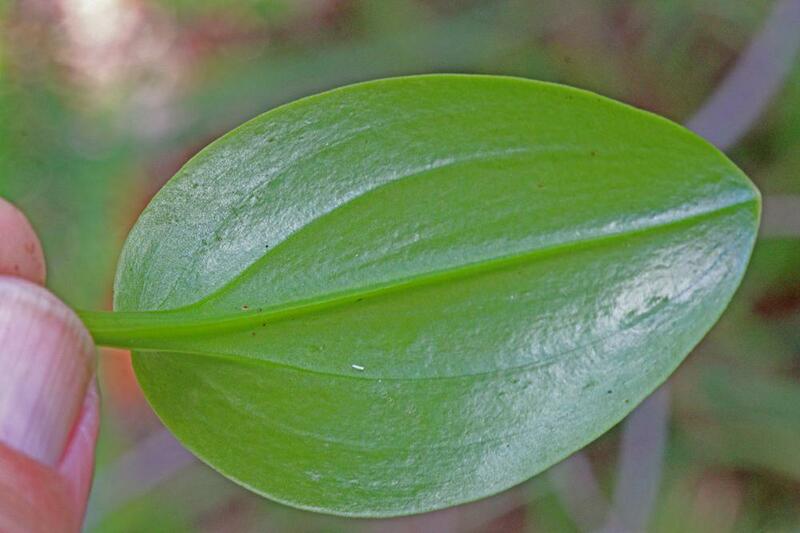 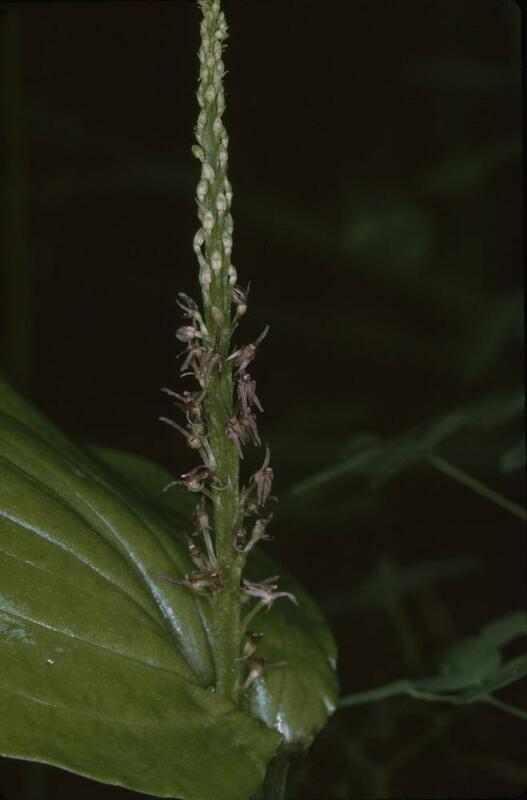 Malaxis porphyrea is apparently secure across its range in Central America where it is widely scattered and locally common. 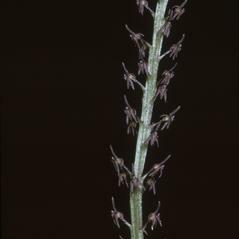 However this orchid is ranked state rare in AZ and its status in NM has not been reported.